Hotel Grand Chancellor Townsville is ideally located in the heart of Townville's business and shopping district and close to popular tourist attractions. Within walking distance to the hotel is the Great Barrier Reef terminal, Magnetic Island Ferry Terminal, Castle Hill and The Strand. 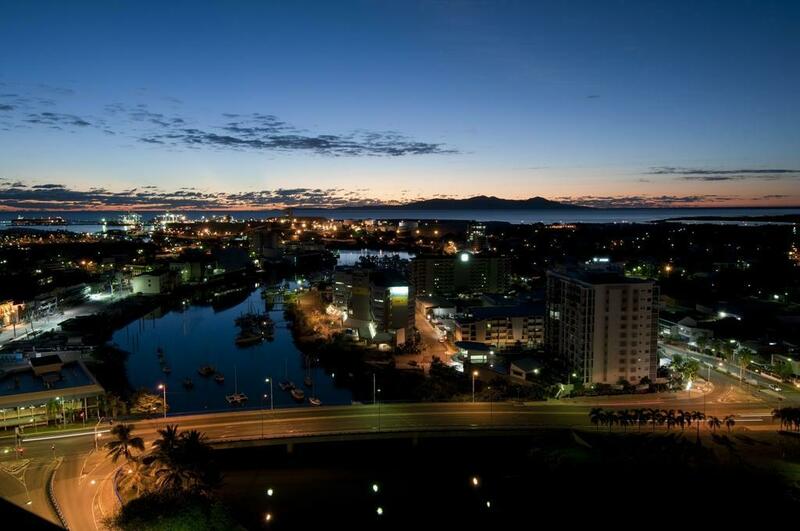 This Townsville accommodation offers guests a choice of 200 rooms and suites, all with views over the Coral Sea and Magnetic Island or Townsville city and the tropical mountains. Facilities include a rooftop pool and bbq area, or enjoy a workout in the hotel's gym. Hotel Grand Chancellor Townsville is the perfect choice in Qld Central Coast accommodation, as it offers a central position and easy access to popular tourist attractions on your next Townsville holiday. 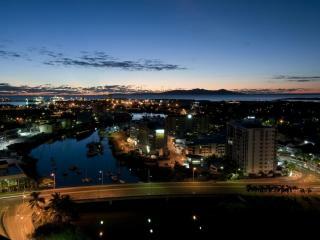 Hotel Grand Chancellor Townsville offers guests a choice of rooms and suites, all with views over the Coral Sea and Magnetic Island or Townsville city and the lush mountains. Standard Room: Bedding is 1 King Bed or 2 Double Beds. Executive King Room: Bedding is 1 King Bed. Executive Suite: Features separate living are and panoramic views of the river, Coral Sea or city. Bedding is 1 King Bed. One Bedroom Apartment: Features a kitchenette. Bedding is 1 King Bed. The Sugar Shaker Restaurant: Open daily for breakfast & dinner. Offers a buffet breakfast and a tasty a la carte dinner menu, often featuring fresh, local seafood. The Hotel Bar: Open each evening.